One of the big, noteworthy reveals in last night’s new Batman v Superman: Dawn of Justice trailer was our first look at the monstrous Doomsday – who will surely be the common enemy that that unites the titular sparring heroes, along with Wonder Woman. But while that particular character is getting a lot of attention, it’s also worth noting that the preview seems to hint at the coming of Darkseid – a villain who has been rumored for the upcoming Justice League movie. What are these black creatures with wings flying around while Batman struggles in a desert like setting? Obviously we don’t have any confirmation at this point, but they sure do look a whole lot like the troopers that Darkseid regularly sends out to do his bidding. These soldiers are actually genetically-created slaves that have been bred to keep order on Apokolips, and whenever the planet's leader decides he wants to take over a place, he begins by sending in waves of these guys. They certainly fit the bill in the looks department, but exactly what they may be doing in Batman v Superman: Dawn of Justice isn’t clear. 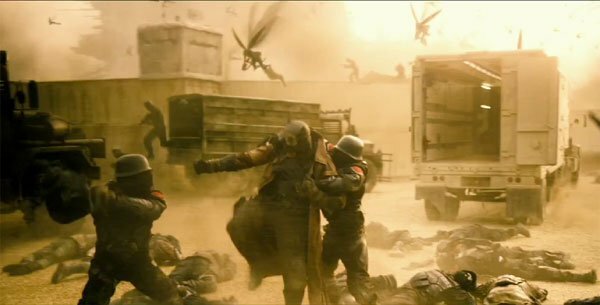 There has been some suggestion that the desert-set footage that we’ve seen is actually part of a paranoid dream sequence experienced by Bruce Wayne (imagining a planet ruled by Superman), but then again that wouldn’t entirely explain why he would be having visions of creatures that look so much like Parademons. The worst case scenario is that this footage is actually just from the very end of the movie and is super spoilery. But our fingers are crossed that’s not the case. What do you make of these winged creatures flying all over the place in the Batman v Superman: Dawn of Justice trailer? 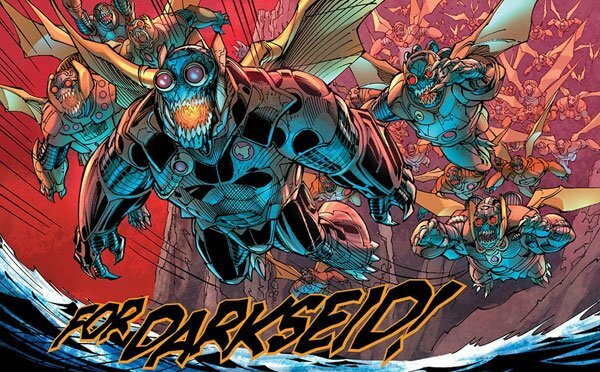 Do you think that they could be Darkseid’s Parademons? Or do you think that they’re something else entirely? We probably won’t have any real answers until the film comes out on March 25, 2016, but hit the comments below with your thoughts and theories!